Syria shoots down Russian aircraft. Russia blames Israel. Russia has said Syria shot down one of its military planes – but laid the blame for the deaths of the 15 personnel on board with Israel. 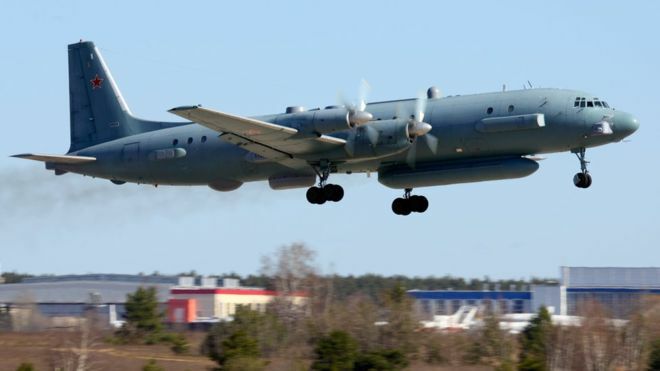 The defence ministry said Israeli jets put the Il-20 plane into the path of Syrian air defence systems on Monday after failing to give Moscow enough warning of a strike on Syrian targets.